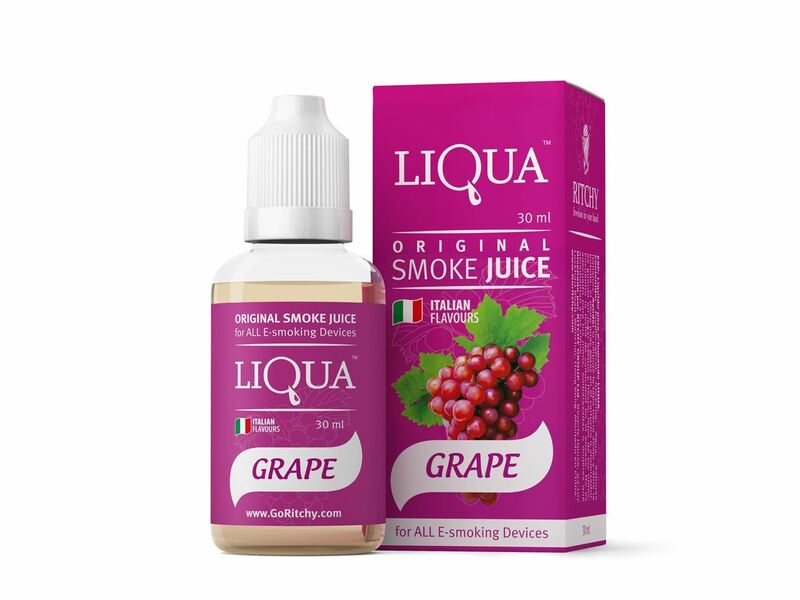 Buy Liqua Smoke Juice - Grape 30ml in Australia. Free Delivery* and Discount. So what is Liqua smoke juice - Grape 30ml? Grape will please you in seconds with a rich taste of crisply reaped red grapes complimented with an unadulterated sweet smell. It is the right decision for the individuals who look for a different kind of a regular sweet products. Smoke Juice Grape delights with the full taste of newly gathered red grapes that is held with the immaculate sweet smell. It is an incredible decision for the individuals who look for an unique kind of sweet and fruity flavours.Sweet and delicious, a burst of grape. excellent vapour production. LIQUA’s full range of tastes are designed carefully by those who really know what theyshould be – the most professional flavorists from Italy. That means LIQUA’s Tobacco taste is truly right - as fresh as natural leaf Tobacco. LIQUA Grape flavor is as juicy as a real green Grape, and LIQUA Grape – tastes as good as what you’ve got in your morning cup.